Shining Diva presents these beautiful and stylish Oxidized Silver anklets for girls and women. A mere look will be enough for you to fall in love with these pretty anklets from Shining Diva. These anklets can we worn in party or daily wear. 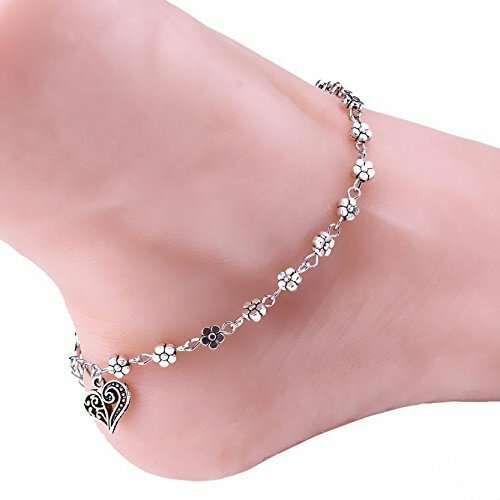 Keep checking Shining Diva latest collection of silver, stylish, fancy party wear, wedding traditional anklets and fashion jewelry for women on Amazon. Shining Diva presents beautiful Kundan Anklets / Payal for girls and women. These anklets can be worn in party or daily wear. A mere look will be enough for you to fall in love with these pretty kundan anklets from Shining Diva. Made from alloy, these anklets are durable and have an excellent finish. Beautifully designed, these anklets will go well with any of your ethnic attire. Rakshabandhan or Rakhi as is popularly known, is the beautiful ancient festival celebrating and honoring boundless sibling love. Give Joy And Love To Your Bhaiya On The Auspicious Occassion Of Rakhi By These Lovely Rakhi Threads, Which He Can Cherish His Lifetime. This is an exclusive, designer style premium rakhi. 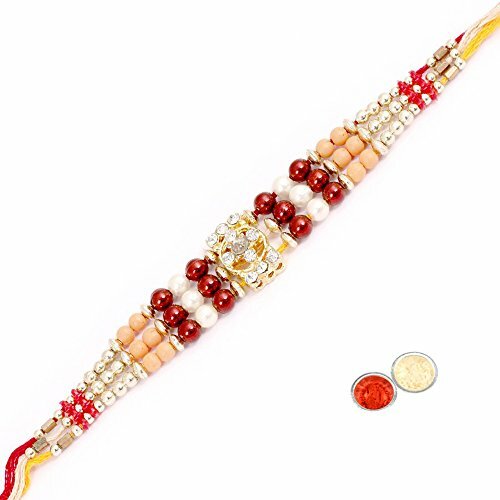 To express your pure timeless love through distance and send the very best to your beloved brother.This Fancy Rakhi Gift Set Contains: 1) Traditionally Designed And Handcrafted Exclusive Fancy Rakhi. 2) It includes Roli and Rice for Pooja Tilak in sealed pouches. All Rakhis are Being Traditionally Designed And Handcrafted. Happy Rakshabandhan.